Carat New Zealand, with Dentsu Aegis Network agencies BC&F Dentsu and MKTG, and the team at Movember New Zealand (NZ), have taken out Gold and Silver at the Festival of Media APAC awards for the ‘Face of Change’ campaign. Says Alex Lawson, general manager, Carat NZ: “The work we do for Movember NZ provides the opportunity to flex our collective brains and creative muscle, harnessing true integration across DAN for a really important, lifesaving cause. Our people at Carat, MKTG and BC&F Dentsu were lining up to work on this brief and their passion shows through the work. 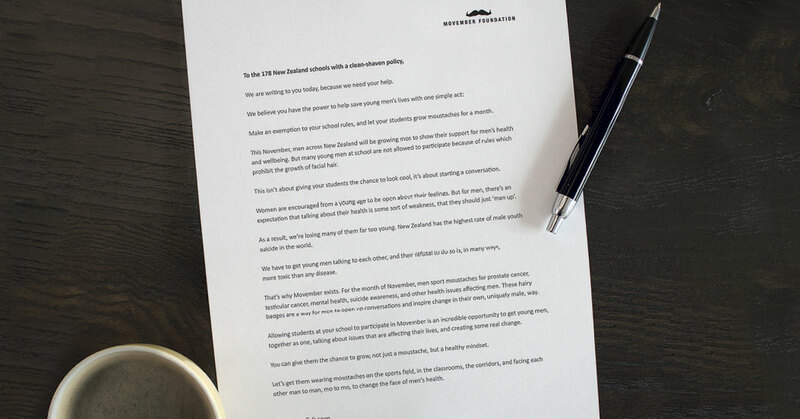 Says Robert Dunne, country manager for Movember NZ: “For the “Face of Change” to be recognised internationally reinforces that you must work with people and organisations that share your vision and values.